Poppy and Ted Morgan (literally) on camera as Dr. Miller is positioned in the frame. A match made in reproductive justice heaven. HIVE (the San Francisco-based hub of positive sexual and reproductive health) and the AIDS Foundation Chicago’s (AFC) Midwest HIV Prevention and Pregnancy Planning Initiative (MHPPPI) co-created a video series about HIV-affected individuals and couples and reproductive health intentions – real life vignettes of #HIVLoveWins stories. 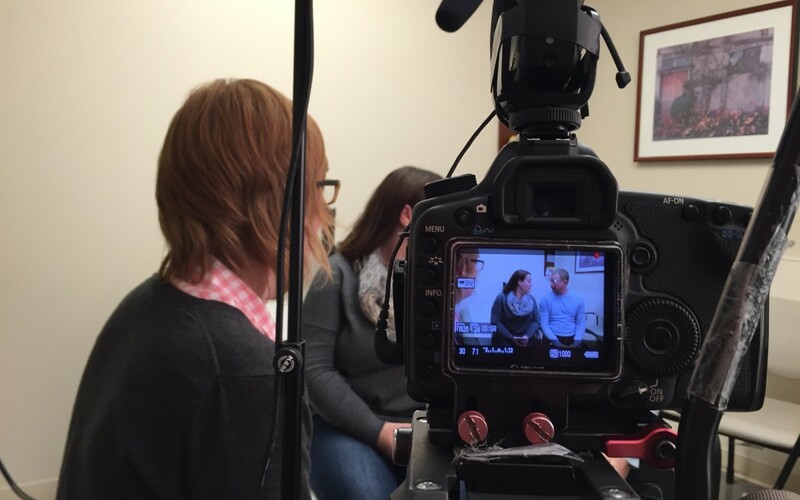 While the expected outcome of this collaboration was a series of educational videos for providers and consumers, something much more powerful happened. The Brave Ones, who agreed to star in these video vignettes, connected with each other in real and meaningful ways. Annie and Magic had never met another couple like themselves –serodifferent and desiring a family. Then they met Poppy Morgan whose partner is living with HIV, who’d joined the project and was womaning the “green room” during the filming. Magic and Annie got to build a new relationship with someone who experienced similar feelings about wanting a baby and learned, first hand, her joy of then having a baby of her own. Jessica shared her point of view as a woman living with HIV with Poppy, illuminating new perspectives for Poppy. Jessica expressed her desire to become a more outspoken advocate for women living with HIV to AFC staff Pamela and Brian (behind the scenes heros during the day of filming) and two months later spoke at a the women’s PrEP4Love Live event. A beautiful byproduct of creating a space for one specific outcome resulted in powerful conversations and connections that created new long-term connections. 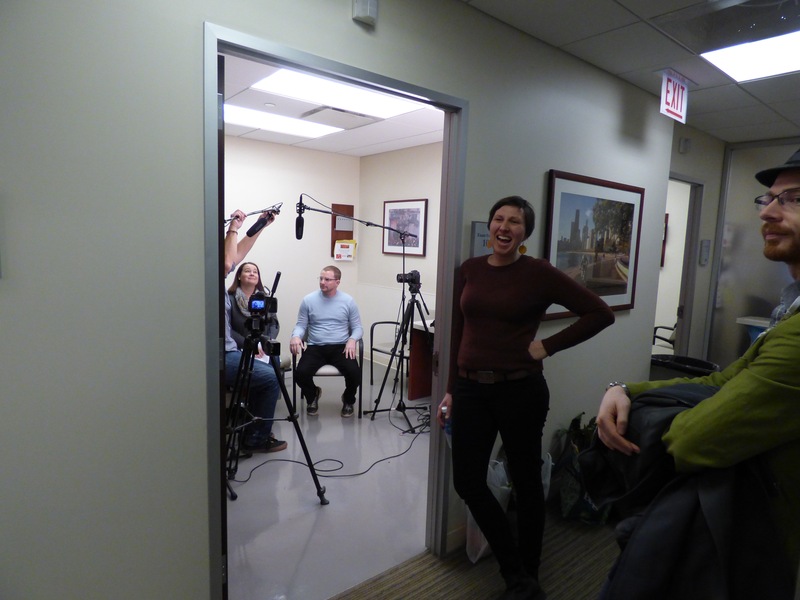 Jessica Terlikowski, still smiling at 7 PM, during the last hour of filming at Northwestern. The Chicago videos are loosely scripted, meaning participants were asked to address a list of topics but to use their personal life experience to inform how the conversation flowed. Script development was based on data gleaned from focus groups and surveys with providers and patients and included review by PrEPception advocate, Poppy Morgan. We purposefully embraced scenarios often cited as challenging: an HIV provider asking a man living with HIV about his reproductive health desires, an obstetrician/gynecologist asking a newly pregnant woman about her partner’s HIV status, a mother living with HIV who would like another child talking about her fears disclosing her status to her partner, a PrEP provider screening for reproductive health intentions. The films aim to bridge the gap between conceptual and practical, providing examples to providers of how to ask about a sexual history or reproductive desires, examples to consumers on how to share family building and intimacy desires and their sexual practices with a provider. 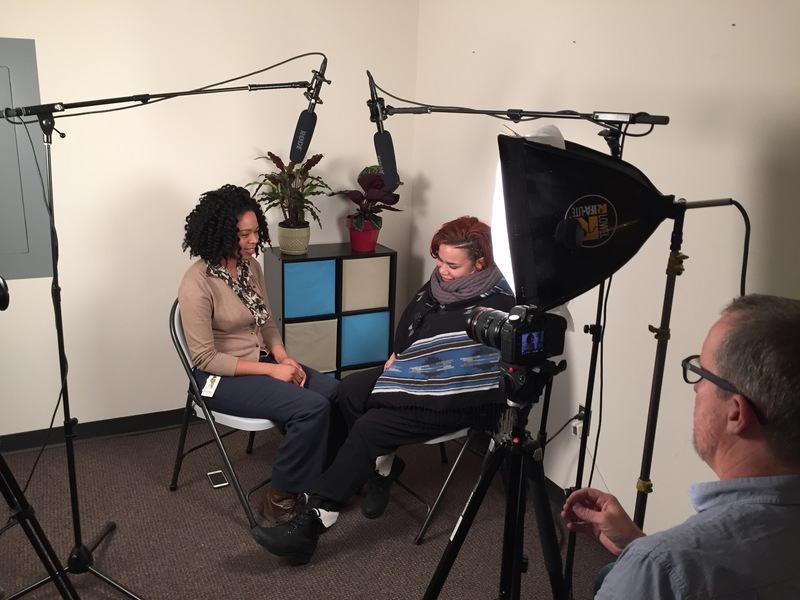 While there is no one “right way” to integrate sexual and reproductive health into a primary care setting or integrate HIV prevention into prenatal care, the providers and consumers in these films demonstrate numerous ways to show up for the conversation. Look what we made for you. Nina and Jessica settle in on set while filmmaker Steve Olpin checks the sound and lighting. With a virtual red carpet and round of applause we present to you the Chicago #HIVLoveWins videos series. We can’t wait to see how you use and share what we’ve made for you. How will you #HIVLoveWins? With our hope for reproductive justice for all. Gratitude to Macys and Gilead Science for their support, making the creation of this video series possible.